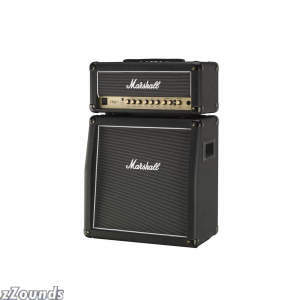 Built for the Marshall Haze 15 watt head or as a extension cabinet in the MHZ40C Combo, the MHZ112B straight cabinet provides you with solid Marshall strength and tonality. Using a single Celestion 12 inch speaker, you can't go wrong with this compact cabinet... it packs a punch! If you've been searching for a portable amplifier range that delivers on all tonal promises, then look no further than the Haze Series from Marshall, a truly versatile and dynamic blend of modern technology and pure analogue heritage. Designed specifically for Marshall`s MG Series, this cabinet is a perfect match for the MG100RCD, or any head or amp with a speaker extension jack. The MG412 is built to last and value-priced, giving you more for your money. Features: Power: 120 watts Impedance: 8 ohms Speakers: 4 x 12 in. 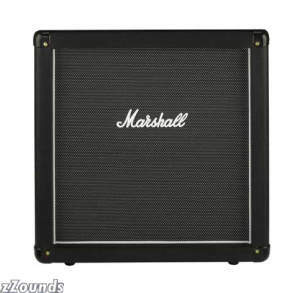 Marshall/Celestion custom-designed speakers (30W each) Dimensions (W x H x D): 26.4 x 26.4 x 14.0 in.